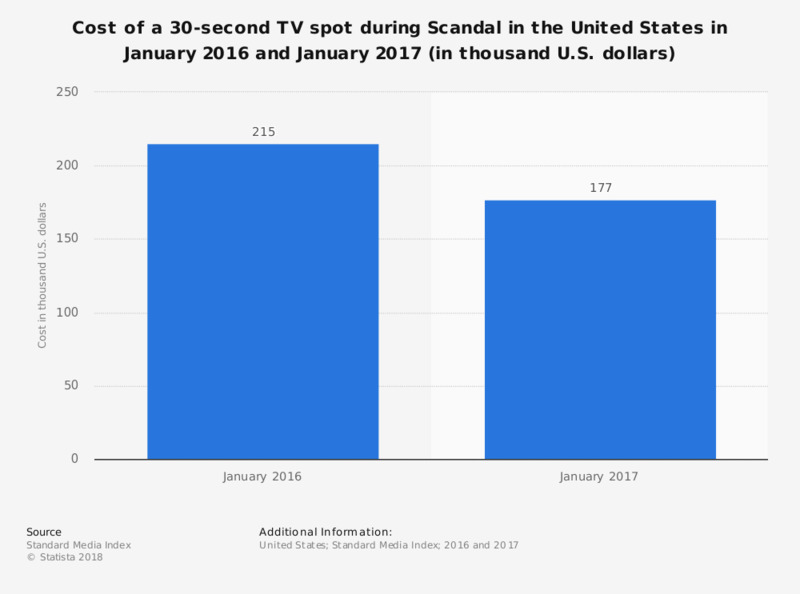 The statistic shows the average cost of a 30-second TV commercial during an episode of the TV series 'Scandal' in January 2016 and January 2017. In 2016, the cost amounted to 215 thousand U.S. dollars. Statistics on "TV advertising in the U.S."
Television advertising in the U.S.